A Washington Post blogger responsible for launching a false story about Attorney General Jeff Sessions on Tuesday published an official apology Wednesday. Tufts professor and Washington Post blogger Daniel Drezner helped kickstart the narrative that Sessions had referred to illegal immigrants as “filth” while delivering a speech before border agents at the U.S.-Mexico border. Dawsey’s tweet crudely distorts his own source. Filth. He described illegal immigrants as "filth." Sessions did not call illegal immigrants filth. As the transcript of his prepared remarks made clear, he was calling Mexican gangs and drug cartels “filth.” Furthermore, when it was time for Sessions to actually deliver the speech, he omitted the word “filth” entirely. Just as immigrants are constantly conflated with illegal immigrants, illegal immigrants are conflated with foreign gangs and drug cartels. Therefore, anything you say about foreign criminals (or almost say) you have said about immigrants, proving that you are a racist who ought to be subjected to the Two Minutes Hate. Drezner and Dawsey have stretched propagandizing to the point of fabricating a hate incident that did not happen. Please welcome them to the Hate Hoax List. On a tip from J. Please don’t tell me any of you are surprised by this. WaPo is notorious for making up “facts” out of whole cloth ala the NYSlimes just as Politico is for not fact checking. Maybe it’s time to start bombarding these Washington ComPost liars with libel lawsuits. I don’t think then the a…. 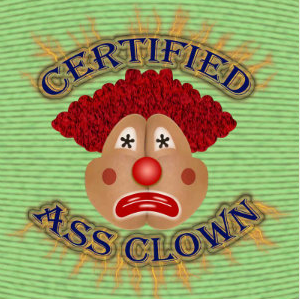 clowns wants to be associated with the Washington Compost…errr I mean Post. I watched Sessions’ speech. He clearly did refer to Mexican gangs and drug cartels as “filth”, contrary to the story. And Sessions was right to say so. Let me be the first one to say that illegal aliens actually are filth. Illegal aliens are thieves—of tax dollars, of living space, and of the rights of citizenship. Through their theft, illegal aliens are depriving American children of a future. Only the liberals who support illegal aliens are filthier than they are.